The man at the front of London's iPhone queue wasn't actually able to buy an iPhone because he spent all his money. While the unnamed man was waiting in line for the much desired phone, he went to kill time at casino but ended up without the cash needed to actually buy the phone, according to the man who took his place. Disaster struck when people in the queue were given wristbands that meant they could leave, take some time for themselves, and then come back, the Metro reported. In that time, the man headed to the casino and spent the money he had been intending to use to buy an iPhone, it claimed. "I ended up number one in the queue!" 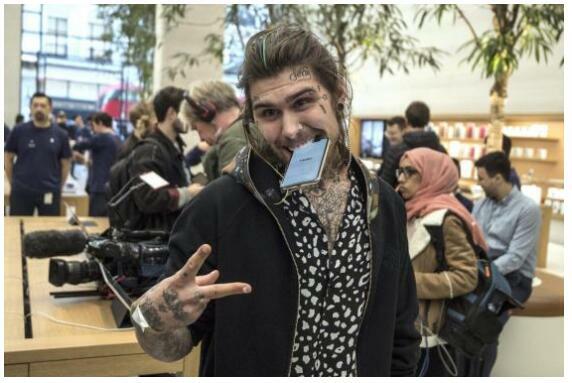 Marco Pierre White Jr, a friend of the man who took his place in the Regent Street store's queue, told the Metro. "My friend didn’t have enough money so he f*****& off back home. "He overspent in the casino last night and so I ended up first." Last year, the model admitted in court to racking up thousands of pounds on a then girlfriend's bank card, which the court was told included a visit to an Apple Store and paying for an Uber. Labelled the "future" of the iPhone by Apple boss Tim Cook, the iPhone X uses Face ID facial recognition to unlock the device, doing away with the Home button and Touch ID fingerprint sensor of previous iPhone handsets. 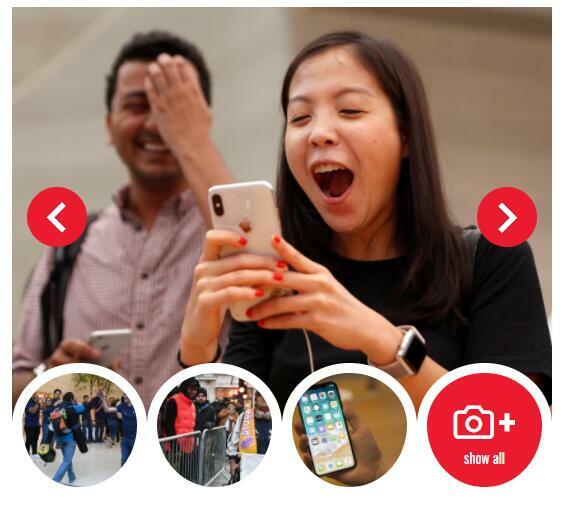 Hundreds queued overnight to ensure they were among the first to buy the device, including White, amid reports of limited early stock being available in the first days of sale. Many other customers who pre-ordered the iPhone X had been given delivery dates up to six weeks away, after the initial stock sold out in minutes when pre-orders began on October 27. Large queues were reported outside Apple retail stores globally, including in Australia and China. Tweeting early on Friday morning, Apple chief executive Mr Cook thanked customers who were "turning out around the world" to buy the new phone. The launch comes in the wake of strong quarterly financial results on Thursday night, with Apple predicting revenue in the next quarter of more than 80 billion dollars (£61.3 billion), a suggestion that the company is confident of strong sales of the X.